One of Malta's national holidays is Sette Guigno, which is translated from Italian as “Seventh of June”. It commemorates the uprising against the British colonial government which occurred on June 7, 1919. 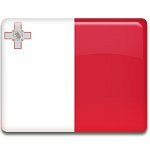 Malta was not conquered by Britain, it voluntarily became part of the British Empire in 1800. After the First World War, the colonial government failed to provide an adequate supply of food provision for the Maltese islands. The cost of living increased dramatically, which led to increased struggle of the local population for greater autonomy. The riots began June 7, 1919, during the National Assembly meeting. British troops fired into the crowd and shot four people dead. This led to increased resistance against the colonial government and profiteering merchants who thrived while common people could not afford to buy bread. The Sette Giugno riot is considered the first step towards the independence of Malta. Sette Guigno was declared as a national holiday in March 1989 and was first celebrated on June 7 that same year. It is one of the country's five national holidays, the other four are Freedom Day (March 31), Victory Day (September 8), Independence Day (September 21), and Republic Day (December 13).